Magpie Quilts: Giving Quilts Away! We're having a work bee! 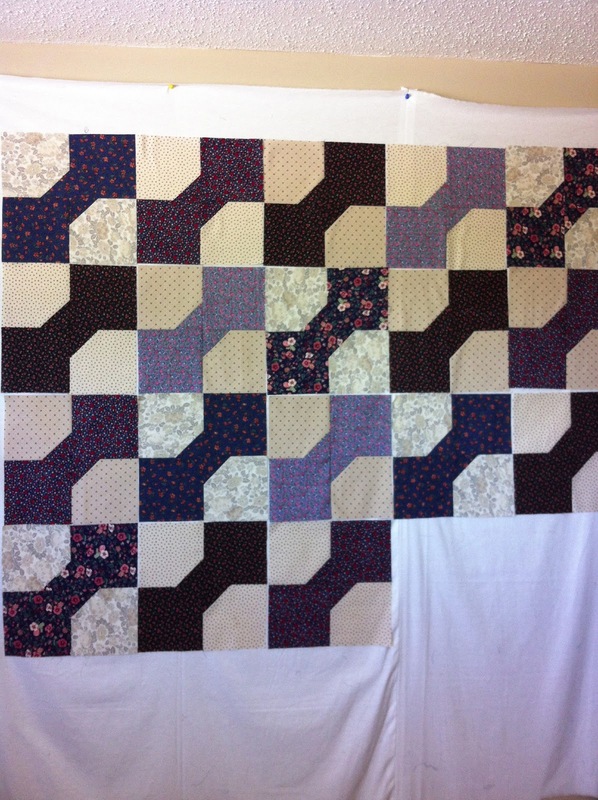 The Dalemead Quilt Guild is sewing all day Wednesday, July 3 at the Indus Rec Centre (just off Hwy 22X east of Calgary) to make tops and finished quilts for donation to the flood victims in Calgary and surrounding areas. Many people have lost their entire home & contents, others have massive clean-up to do before their homes are liveable and still others have been evacuated and displaced and finally able to return home. It is amazing to see the generosity of other Albertans as they rally around and support those who have been affected as well as the generosity of people across the globe. This story in particular touches my soul - kids on the other side of the planet, who have nothing, give what they have to Albertans, who are among the richest on the planet. What a precious gift! Here's a couple quilt tops that I have been working on this week as I've been following the news, stories of heart-break and stories of generosity and stories of hope! The blocks have been made by members of the Dalemead Quilt Guild and I'm just putting them together into quilt tops. 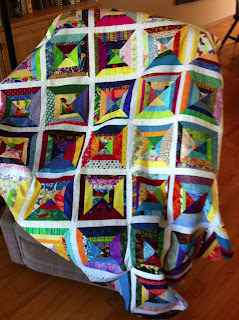 Both these quilts are made from super easy blocks and I'll be posting a how-to for the bow tie blocks later this week.